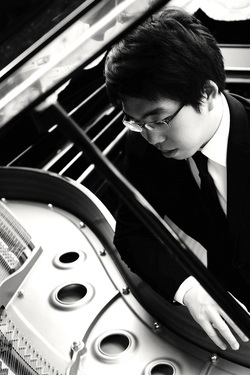 Channarong Jantararat was born in Thailand and commenced his piano studies at the age of six. He gave his debut recital at the age of thirteen and moved to Britain in 2004 to study at Shrewsbury International School. Channarong is currently studying at the Royal College of Music under the tutelage of Professor Dina Parakhina. He is at the start of a promising career as a solo pianist and has already gained recognition for his outstanding talent from many quarters. During his undergraduate study at the Royal College of Music, Channarong was presented with the Knights of the Round Table Award. He received the Royal College of Music Study Award, the Geoffrey Parsons Memorial Trust Award, Edward Mandel/Jaques Samuel Pianos Award, and St Marylebone Educational Foundation Award. He has won prizes at several piano competitions in Thailand and the UK, including the European Piano Teachers Association Piano Competition, and the Kent International Piano Competition in 2014. We are delighted that he has agreed to perform with us this January, and look forward to a stunning performance of Mozart’s Piano Concerto, accompanied by the orchestra.